POPULATION DYNAMICS OF THE BIGEYE SNAPPER LUTJANUS LINEOLATUS, RUPPELL, 1829 (FAMILY: LUTJAN1DAE) FROM THE GULF OF SUEZ, EGYPT. 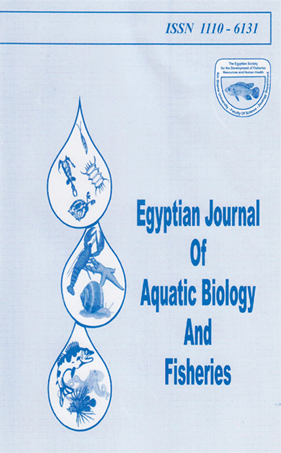 Age, growth, mortality, relative yield per recruit and relative biomass per recruit of Lutjanus lineolatus collected from the Gulf of Suez during the period from October 2001 until May 2002 have been estimated. Age was determined from otolith's reading and the results showed that the maximum life span of L lineolatus is 4 years. The growth parameters were estimated as K = 0.40 year"1 and L« = 24.45 cm. The annual rates of total, natural and fishing mortality were calculated as 1.37, 0.31 and 1.06 year"1 respectively. Exploitation rate E was estimated as 0.77. The relative yield per recruit analysis showed that the stock of L. lineolatus is overexploited, To maintain this living marine resource, precautionary management measures including decrease of the present fishing pressure and increase of the length at first capture to be about 13.5 cm should be applied.